"May I just say...WOW?!" - J.W. "Brad-Thanks so much for your inspiring classes. I find not only the EFT powerful, but your amazing gift of words as well. Shifts are happening instantaneously in my life now. Perhaps you should have a "buckle your seat belt" sign on your website-for your classes have certainly set a fast ride in motion for me." - T.S. "I love this stuff!!!" - D.B. "I have had many astounding breakthroughs. Old scars that clearly have been blocking my ability to attract prosperity have been cleared." - J.S. "You know what I love about the sessions with you? That anything that gets cleared, gets cleared for real & for good. Thanks Brad, these classes get better and better :-)" - M.V. "Your work is so extremely powerful!! You ROCK!" - S.R. "Another sensational, splendid, super, stupendous, super, superb, swell class! (Yikes! Did I just say "swell"?)! I so look forward to these!" - C.P. "As usual, the TIA call was amazing! Of course, it is your wording that has the most impact. Your guided images just keep getting better and better! WOW!" - R.P. "I am here to tell you that I have been tapping along with you each morning for the last five days. There has been a manifestation of money in each and every case. Each time I thought it could not happen again, but lo and behold it did! I am so thankful, not only for the cash, but for you, this technique, and the spirit that put it together." - R.O. "That call was excellent this morning. Over the weekend I was contemplating what I was hoping would be discussed and what I would say etc. And these people all started talking...I was amazed. They brought up exactly what I needed and I hadn't even gotten to it, in my own thinking. And then the work on how we can be successful when we have not had that much success before. It was like the perfect call for me. I look forward to reviewing that call and tapping away on it over and over again." - K.K. "That was an AMAZING class. I had to go back to work after the call and I made more than double what I made in the morning. Also, I really slept great last night!!!!!!! (I haven't sleep well in years!!)" - V.K. "Brad, I just LOVE tapping with you! Thanks!" - V.S. "Your EFT stuff is the best!!!" - T.P. "Cher Brad, I only want to thank you for your enthusiasm and all the magnificent work you do. Even though I have to focus probably a lot more than somebody whose mother tongue is English and not French, I try my best to follow what you say-and the results are astounding. " - D.T. "I am here to say that this stuff is really working for me. I feel lighter, facing problems with more ease, and things appear to be flowing naturally. I'm much more happy." - I.H. "I feel the understanding you have and the intuition that guides you during the calls. It is wonderful!" - M.B. "I have really felt a major shift since beginning the EFT, dramatically more so than anything I have tried before, so thank you, very much." - S.C.
"I use your tapping every day...and it produces some awesome results." - J.T. "I love your work! Thank you for doing what you do. I already have a testimonial. The very first time I tapped with you, I got a call later on that day from a client, I had not heard from in over 3 years. She asked me to do some work for her that would amount to over $500. Thank you, thank you, thank you!" - G.M. "You make my day, every day! :-) Thanks for all your inspiration!" - C.B. "I didn't believe what I'd heard about you at first, because people brag, rant and rave about how people are so great a lot on these types of calls. This was my first sort of live introduction with you. I was sort of familiar with you from Bob Doyle and Wealth Beyond Reason, but only in print. You are something else live! in a good way. :))) I felt really exhilarated and high as though I was in church and caught the Holy Spirit I felt so good! As mentioned at the end of the call you have renewed my faith and interest in EFT again. Thank you so much again and God Bless you." - D.T. "I love your EFT sessions!! You are great!! Your EFT abundance sessions got me an interview in 2 days and a job in a week and half." - E.A. "I really appreciated the class this morning. Everything we tapped on was just what I needed." - P.T. "I really saw such a difference in how I felt after I went through that session yesterday and can't wait to do it again today. I love your humor and the dialogue and you just make the tapping so enjoyable as well as powerful - so thank you so much. " - J.J.
"I wanted to just send you a quick email saying "thank you". The very 1st tapping I did....I sat there and cried as a belief I had held onto for over 30 years came out and I know it was the reason I held myself back from truly achieving what is in my heart. I did not want to hurt my family by having more... Later that afternoon, I did more of the tapping and at the end when we did the deep breaths...I let a giggle that lasted for several minutes...I feel so much better. I feel like a burden has been lifted that I did not even know was there at least to that extreme. I have continued to tap each day...and each day, there is a "new me" emerging. Thank you so much for all that you do and may God Bless you to continue to enrich so many lives." L.P.
"I love these programs as you have a knack of crafting the statements for the tappings and I like to continue using them to clear my blocks." - E.C. "After that great EFT session, I feel like I'm going to sleep wonderfully tonight and love myself more! Thanks so much! "- J.S. "The teleconferences have so touched my life and i have seen miracle after miracle! Thank you sincerely." - S.G.
"Words just cannot express my gratitude and how much you have helped me." - A.F. "I'm doing my very best to spread the word about you...I really appreciate the work you're doing very much. Your work really rocks. It's that combination of integrity, intuition, intelligence and sense of humour that does it, I think." - M.V. "I've been on your Abundance call with EFT in the past...had so many great results that I'm on the call for this month also...am I getting results? You bet...and you're the best...you bring such incredible humor to otherwise such serious subjects in life...thank you!" - D.T. "Just finished listening to you ....I'd watched a couple of your videos, and was impressed by your ease and clarity while tapping. Now I am an unequivocal FAN! Your channeling is one of the most fabulous demonstrations I've ever experienced of a healer "getting out of the way", while managing to address every little tricky objection any steel-trap mind might insert; and moving through the tapping with such grace and effectiveness! Bravo! Also, I adore your 'God is really good at what I do', which shows the inventive turn of mind you possess, and understanding, you bring to your work." - R.W. "Just wanted to say thank you. I have made the journey from "The Secret" to Joe Vitale and then to you. You are changing my life for the good." - S.S.
"Like I said, you rock. I enjoy your style, and I love how you find the path through my defenses. The only thing about phone classes that is missing is the hug at the end! Thanks for sowing such rich seeds into my life!" - C.B. "By total chance came across your work. It is absolutely the best thing I have ever come across. I suffer from Biopolar mood disorder as well as epilepsy and have been on medication for the last seven years which affected my relationship with my husband and family. I have not felt so clear headed and in sync with myself as I do right now for years. My energy levels are up and I actually feel like living again. Thank-you, Thank-you." - M.A. "One of the parts that I like the most in your guided imagery is when you tell me that I will sleep very well through the night, that the more I dream the stronger I will become, and that you will ask my unconscious to allow at least one of my dreams to be a very healing dream. I have had more dreams in the last year than I have had in my entire life, and I feel that the majority of them are healing dreams. Thanks to you, I enjoy going to bed at night again." - R.B. "Your work has contributed to the success that I am at last enjoying. " - S.C.
"Thank you Brad, I really love and appreciate your dedication to help others. I love your programs!" - L.J. "I love the intuitive improv EFT that you do." - J.B.
"Thank you for the gifts that you bring to us, in particular, you never forget in one way or another to remind us of who we are." - D.D. 2) Making it easy to clear the blocks that have caused me so much harm, that I have been trying to let go of for years. 4) I've been tapping for 2 days & feel this much better!! 5) Bringing the Hope back to my life & making Magnificent a possibility. There is just so much to thank you for & above are just the highlights. But I did feel the need to say Thank you..... " - M.B. "Your tapping went well beyond my expectations. Thank you so much for a gift of value beyond measure." - D.K. "Thank you so much for being. I have been tapping along with you every day for the past month and fully realize the benefits of EFT. Prior to being guided to your work I knew very little about EFT but had seen some positive results. I had not been in a position to afford a practitioner and have been ever so grateful for your recordings. The most benefit is that I can participate any time I choose. Wonderful!" - C.H. "You are really inspired, it's magic. Thanks a lot lot lot�" - N.M.
"Thank you, Brad. Most importantly for the tapping. I particularly love your approach and am now tapping with and without you almost daily, and sometimes more often :-). Thank you for truly being a gift in my life." - D.R. "Thanks for helping me believe I am magnificent!" - L.S. "The tapping exercises have helped me release in just a couple days some of the pain, shame, feelings of abandonment and perpetual sorrow that seemed to follow me around, I mean I feel more free in just two days, than what years of therapy never seemed to accomplish. I am glad I found you!" - L.J. "You have a wonderful style. It's easy following your taps. Thank you again. You've made a difference in my world." - A.B. "You have helped me in ways you may and may not know." - C.S. "Your lighthearted and generous approach to EFT makes it fun and easy. Thanks for your work!" - R.L. "Your tapping assistance rocks!! You have definitely helped me get some breakthroughs and I truly enjoy tapping with you. I use Tap O' the Mornin' and Evenin', also. I will definitely be back and I have referred friends too. Thanks so much for all you do!" - L.A.
"Your work is irresistible-your whole approach is fun and I appreciate your humor. You are not just doing good work-you are performing an art. Thank you for your marvelous work." - R.N. "Oh my Gosh...I finally reached "Zero". It's AMAZING! I have been releasing for a little over a month now. It's no wonder I was miserable...you would be shocked (I was) at the amount of junk that I had to release...some things it took releasing over and over and over. I have seen dramatic changes in my relationships over the past month, but never to this degree. My mom called this morning saying things that normally put me in a negative mode. Nothing she said bothered me, nothing, nothing, nothing...if you only knew how much of a miracle that is...she has always been able to push my buttons and set me off...not today...lol...this is so incredible. It is total bliss! Nothing matters...absolutely nothing. Not my finances, not my health, nothing! Everything has been released. I wish everyone could experience this. I haven't had any yet...but I know breakthroughs in my finances are coming since I am finally living at zero. I just had to write and tell you how wonderful your work is. Brad Yates Rocks! " - B.V.
"Yours is the best site ever for my soul! It's just what I need these days. Bless you dude!" - G.P. improve the quality of your thoughts and feelings. you can do for creating the life you want. So... what are you doing about that...? do a really good workout at the gym once...? eating habits need to be changed. are they snacking on the rest of the day...? "There will never be enough." the desired thought processes to create the life of your dreams. stop doing what you know is good for you. your goal and still enjoying variety. So what about your mental diet...? consequences. Remember, your mind is creating your reality. your mind that tastes good and is good for you! I conduct weekly teleclasses called Tapping into Abundance. We enhance positive beliefs - think of it as nutrients. situation - creating prosperity from the inside out. library of hundreds hours of tapping and guided imageries. those who were present on the call. more people, and I had to make it available. site. This way, you have ongoing access to all the recordings. will be added each month! do, I keep getting better at allowing that to happen through me. material not available anywhere else! - Bonus audios including tapping, guided imagery and interviews. - At least two hours of new material each month. find many of these to be ones you want to enjoy multiple times. healthy doesn't mean it can't also be tasty...! allowing the abundance that is available. irresistible magnet to whatever you desire! and life lessons interwoven into the process. with health, wealth and happiness! what I could reasonably charge. to make a greater difference in the world is important to me. 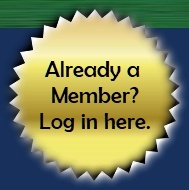 this membership for only $17 a month! waters, act now and you can try it out for 5 days for only $1...! prosperity consciousness enhancing and laughter inducing audio! and excited to be able to make it available to you. library of material is available. to all the material for five days. You can cancel at any time. including an audio demonstration, click here.